I am thrilled to offer conferences, professional learning centers and school districts a unique keynote presentation featuring HyperStudio inventor, raconteur and fellow bricoleur Roger Wagner and myself, Gary Stager. The idea for the session came from a spontaneous collision between Roger and I when we bumped into each other on the ISTE Exhibit Hall floor as the event was being broken down. While dodging forklifts, Roger and I showed each other fantastic stuff we made or discovered on our laptops and iPads, showed photos on our iPhones, recommended books that the other person MUST READ IMMEDIATELY and cracked each other up repeatedly. We were so inspired, amused and entertained that we decided to not only do it again, but to do so with an audience. Contact Gary Stager for booking details. Roger & Me – Roger Wagner and Gary Stager, Ph.D.
Eavesdrop as two edtech pioneers and old friends regale each other with hilarious and profound tales of computing, magic, chemistry, history and suspended adolescence. Each mischief maker will have their laptop connected to a giant screen so they may spontaneously share interesting props, tell stories and engage in multimedia mischeif-making. Be as amazed, inspired and entertained as Roger and Gary are whenever they collide. Hilarity will ensue! Twenty years ago this past summer, I led professional development at the first two schools in the world where every student had a laptop. You read that correctly; 20 years ago! Those two Australian schools, 1 private and quite well documented – Methodist Ladies’ College (MLC) and one public and lost to history – Coombabah State Primary School, finally realized Seymour Papert and Alan Kay’s 1968 vision of personal computing. Every child had their own laptop and learned to program in LogoWriter as a way of exploring powerful ideas across the curriculum. Their teachers, predominantly computing neophytes, learned to teach programming and as a result thought deeper about thinking. We had little doubt about what children would be able to do, but expectations were high for teachers. At MLC, I was trusted to do whatever I thought would improve the school. I worked in classrooms with teachers as my apprentice so they could see through the eyes of their students and their laptop screens what modern knowledge construction looked like. I ran workshops, took dozens of teachers off-site for multiple-day immersive learning adventures, worked across K-12 and had complete 24/7 access to the very busy school principal. I recently asked MLC Principal David Loader what he was thinking when he hired a 27 year-old American with no formal academic credentials, paid him to work in his school for months at a time and have complete authority to do whatever he felt was right, regardless of the risk? David at first looked confused by the question and then matter-of-factly said, “I gave anyone who showed initiative the same level of authority.” He then rattled off the music, art and catering teachers who were indeed given free reign to do the impossible on behalf of kids. MLC quickly became recognized as one of the best schools in the world and led the way for other schools eager to embrace personal computing. Within a few years, hundreds of thousands of Aussie students had a school issued laptop. I had the great privilege of working with dozens of Aussie “laptop” schools in the early 90s. Along with my colleagues, we invented the future. My work in schools where every student has a personal laptop computer has taken me around the world several times. 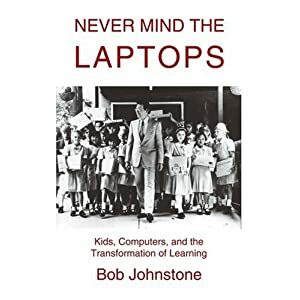 My work at MLC is well chronicled by Bob Johnstone in his book, Never Mind the Laptops: Kids, Computers, and the Transformation of Learning, and in a recent essay I wrote, “Hard and Easy,” as part of Pamela Livingston’s book, 1-to-1 Learning, Second Edition: Laptop Programs That Work. In 1995, ASCD published an article I wrote, Laptop Schools Lead the Way in Professional Development, in Educational Leadership. On the 10th anniversary of my work in laptop schools, I produced a “Laptop Self-Assessment” rubric to determine how a particular school measured up to the goals my colleagues and I set back in 1990. Since my early work at MLC, Coombabah and other Australian schools, I’ve worked extensively in “laptop” schools around the world. (Subscribe to my occasional newsletter to learn about new 1:1 videos and other resources to be put online in the near future.) I collaborated with Seymour Papert and advised his colleagues in Maine prior to the law providing a laptop for every 7th and 8th grader in the state. I inspired and collaborated with the Eastern Townships School Board in Quebec where 6,000 3rd-12th graders have MacBooks and I was a member of the One Laptop Per Child Foundation’s Learning Group. In April of this year, I had the privilege of celebrating my 20th anniversary of 1:1 and work in Australian schools as the keynote speaker at the Australian Computers in Education Conference in my adopted hometown of Melbourne, Australia. This evening I will be the keynote speaker at the European Laptop Institute in The Hague. In a few weeks I will return to Seoul, South Korea to work at The Chadwick International School, a magnificent new progressive international school that will eventually serve K-12 youngsters from Korea and abroad. In a few weeks, my colleagues and I at Chadwick will once again change the world when every student from 1st grade onward will have their own personal Macbook computer. Robotics, programming and deep project-based learning across the curriculum will be the hallmarks of Chadwick’s approach. We will move past the low-hanging fruit of information access and language arts and use the computer to create new learning opportunities and amplify student potential across the entire school. Not since the early 1990s have I had the opportunity to work in a school and mentor teachers so closely over a long period of time as I will at the Chadwick International School. I have spent the past six months or so as a consultant helping with the planning process; including policy issues, purchasing, professional development, visioning and curriculum integration. Look out for great things coming from this exciting school. December 2-3, I’ll be in Milwaukee, Wisconsin to be the keynote speaker, along with Dr. Chris Dede, at the Great Lakes 1:1 Computing Conference. At some of these upcoming conferences I will not only be delivering my keynote address, Ten Things to Do With a Laptop: Learning and Powerful Ideas, but also brand new keynote, Twenty Lessons from Twenty Years of 1:1 Computing. That session, dealing primarily with leadership and policy issues was presented recently at the ISTE Conference, National School Boards Association’s Annual Conference and the NSBA Technology + Learning Conference. From the very beginning giving a laptop to every child seemed like an inevitability. Computers were getting smaller, cheaper and more powerful. Of course children would have their own before long. For the first time in 20 years (now 40) we had the platform available to begin realizing the ideals of Dewey, Kay and Papert. There was never any talk of experiment or pilot or project or initiative. Laptops were purchased for students because it was on the right side of history and the right thing to do. At the recent Australian conference a Monash University lecturer told the audience that we should go slow with 1:1 because the jury is still out and the evidence yet to accumulate to justify the investment. The moderator, Jeff Richardson of Trinity College, snatched the gentleman’s iPhone, asked the audience how many people live in homes where there are more computers than humans and then suggested that children deserve no less where they spend most of their waking hours. 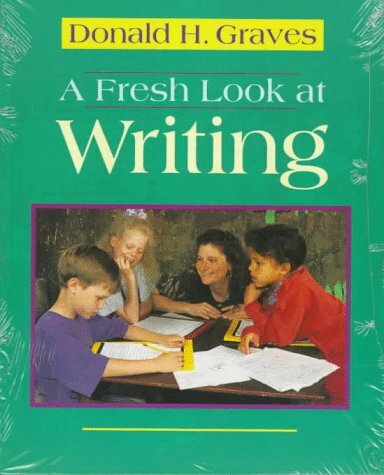 The dirty little secret is that thirty years after microcomputers came into most Western schools, children get to use one for less than an hour per week. The Australian moderator asked me if I’d like to contribute anything to the suggestion. I told the Monash lecturer that, “the first doctoral dissertation demonstrating the efficacy of 1:1 computing was published in 1991 in his department.” I own a copy. It’s time to move on! The kids deserve nothing less. Many of you know that my doctoral research was based on work with Seymour Papert creating a multi-age, technology rich, constructionist learning environment for severely at-risk learners inside Maine’s troubled prison for teenagers. I worked for three years (1999-2002) on that project and learned a great deal about learning, teaching, school reform and the fragility of childhood from that experience. Kids in the Constructionist Learning Laboratory were free to work on personally meaningful projects, regardless of what they were, as long as they were “doing something.” They had five hours of uninterrupted time each day for project development and we were freed from all curriculum and assessment requirements by the Governor and legislature in order to truly reform the system and reacquaint damaged students with their sense of power as learners. Any and all volunteers who could generate student interest in a project were welcome in our classroom. I often felt as if we were on Gilligan’s Island since we had a constant stream of visitors and volunteers despite working within a prison. Blunt Youth Radio volunteers visited twice a week to work with kids on radio projects. This gave some kids a tremendous voice – literally and figuratively. Joey really took to radio production and his program, Joey Interviews a Cutter, in which he interviews a peer about self-mutilation is brutally candid and won Joey a national radio award. I was reminded of this moving piece by Scott McLeod’s recent post about cutting (self harm). After my work in Maine ended, my partner came running into the house screaming that one of my “prison kids” was just on This American Life. I refused to believe it! Surely, there was no way that something from “The LEGO Lab” (as the kids called our classroom) could have made it to the best storytelling program on radio. I checked the web site and sure enough, Joey’s piece of Mike Wallace-style investigative journalism, “Who Peed in the Pudding?” was played on Ira Glass’ show from coast-to-coast. You MUST listen to this short piece to be reminded of what kids, all kids, are capable of and to hear Joey remain calm during a stressful situation when all of the adults around him behave badly. Hilarity ensues! I met Ira Glass, host of This American Life, a few years ago and he told me that Joey’s piece was one of his all-time favorites. This American Life seems to repeat it at least once a year. While looking for Joey’s two radio programs, I found one that I never heard before. Joey’s Phone Call Home is just what it sounds like. An incarcerated teenager called home (from our classroom – probably in violation of 100 rules) and recorded the conversation. It is the banality of the conversation that reduced me to tears. All stereotypes of troubled kids and their “whacked-out” parents fade away when you listen to the heart-wrenching, but completely casual exchange between Joey, his mother and his little sister. It’s unbelievably poignant. While I worked in the teen prison, my own kids were around the same age as the kids I taught. I was immediately struck by how similar my kids were to those with such traumatic lives and terrible odds stacked against them. The experience was humbling and moving. I learned more from the kids in Maine than I can ever possibly express. During the three years of our project Joey and two of his brothers were our students. Yup, three brothers were all incarcerated within three years. I wonder what has become of the little sister you hear on the recording? Joey, I hope you and your family are doing well. Your voice haunts me. National Book Award-Winning author and civil rights activist Jonathan Kozol is coming to Constructing Modern Knowledge 2011! I could not be more thrilled or honored. You may never have another opportunity to spend time with this American hero in an intimate setting. For forty-five years, Kozol, has given voice to America’s poorest children. He is a tireless champion of educational equality and civil rights for the millions of defenseless children left behind. In 1964, Kozol was back in Boston after graduating from Harvard, going to England as a Rhodes Scholar, dropping out to spend time learning to write in Paris with authors, including William Styron and Richard Wright. When Kozol learned of the murder of civil rights workers, Goodman, Schwerner and Cheney, he walked into the Boston Public Schools office and said that he would like to teach. After becoming a fourth grade teacher in a segregated school in Roxbury, Massachusetts, Kozol’s teaching career came to an abrupt an unwelcome end when he was fired for “curricular deviation” for having the audacity to read a Langston Hughes poem to African American children. A man with the courage to match his convictions, Kozol spent several months on a hunger strike in 2007 until his old friend, Senator Edward Kennedy refused to meet with him to discuss the “No Child Left Behind” Law. From his National Book Award-winning first book, Death at an Early Age to his most-recent, Letters to a Young Teacher, Kozol has sold millions of books about teaching, learning, poverty, homelessness and growing up in America’s poorest communities. He has appeared on countless television shows and testified before Congress on many occasions. C-Span’s Web-based video archive allows you great access to twenty different Kozol appearances on that network free-of-charge. The following clip is one of the most moving statements about children and what we owe each young citizen. Kozol speaks about caring for children in moral terms that resonnate with me at a Harvard conference commemorating the 100th anniversary of the Plessy vs. Ferguson Supreme Court decision. Regardless of where you stand on religion or spiritual matters, please watch the entire 16 minutes. Kozol really builds to a knock-out punch. This educator’s latest book shines a bright light on what he calls this country’s big shame — not only are cities segregated, but the education we offer those city children is markedly worse.